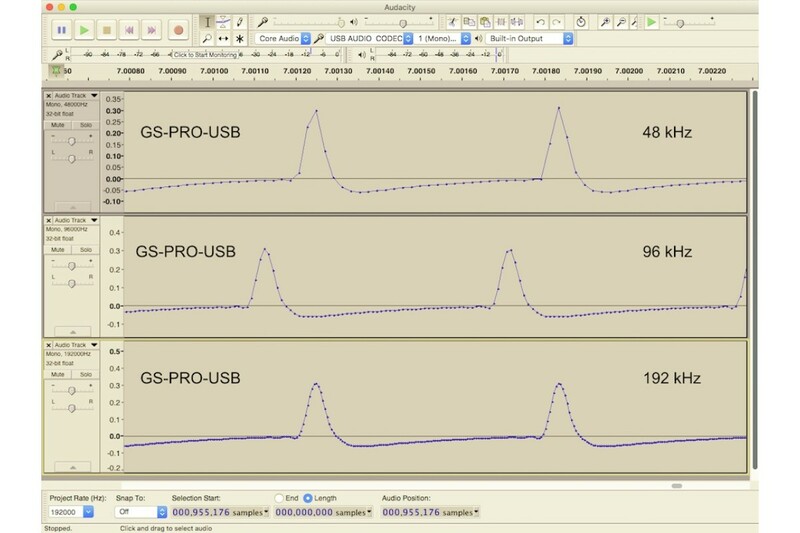 The new GS-USB-PRO is a 3rd. generation Gammaspectacular, it's improved design draws on all the experience and feedback received from over 1000 customers using the original GS-1100A and GS-1100-PRO, and I have no doubt that this is going to become the instrument of choice for any scientist working with nuclear materials or radioactive isotopes. 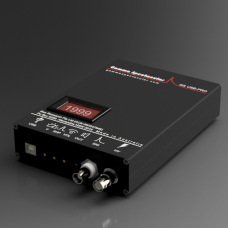 Works with Free software and simply connects it to any PC or Mac* USB port and works with any brand of scintillation detector for spectrometry or any geiger counter for simple counting experiments. 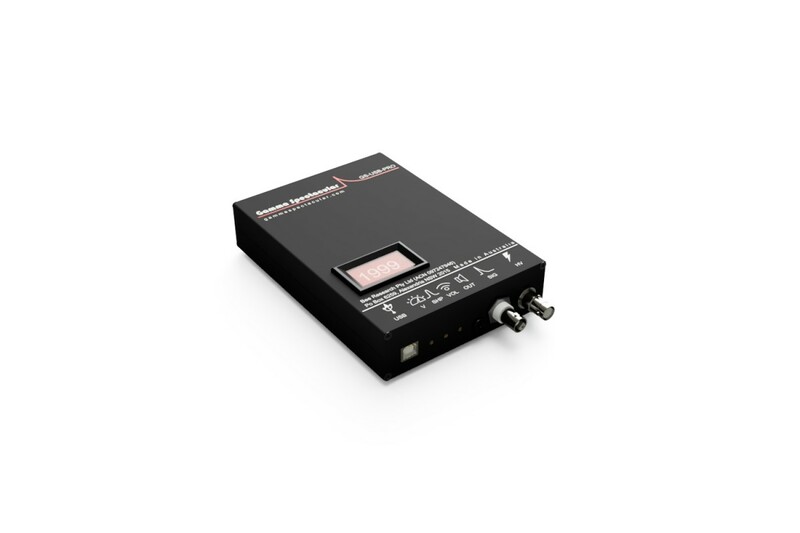 Inbuilt Audio Codec (ADC) - This is the first GS to feature a built in audio codec (ADC), eliminating the need for external audio connection to the PC sound card, this enhancement has significantly improved the signal to noise ratio and ease of use. 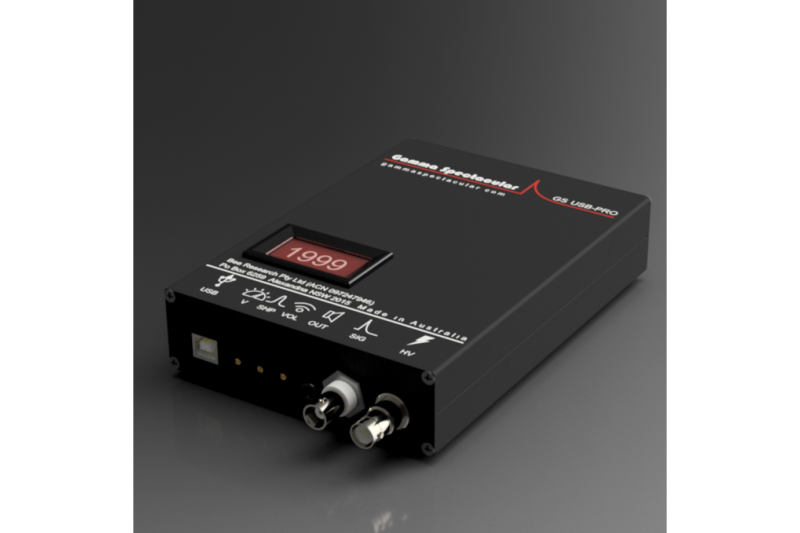 2000V Bias SHV Connector - Unlike the GS-1100A and 1100-PRO, the GS-USB-PRO comes standard with an SHV connector for the high voltage bias and BNC connector for the optional signal input, making it compatible with most brands of detectors. Adjustable Volume and Pulse Shape - New features on this model allows the user to trim the preamplifier pulse gain and shape via separate trimmer potentiometers accessible without opening the enclosure, very convenient for optimisation of the dynamic range. Larger Enclosure and Voltage Display - allows for more space between connections, making the unit easier to use when connecting and disconnecting cables. 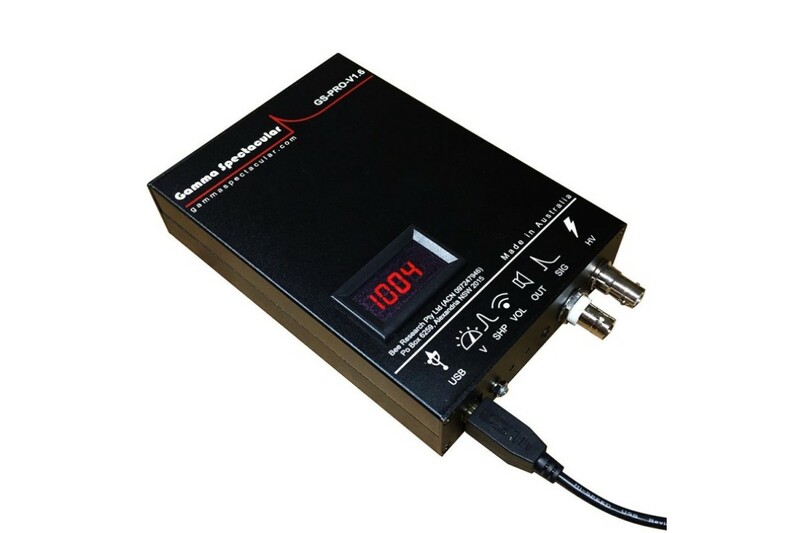 Combination Audio Jack - The analogue line level signal output used on the GS-1100A and 1100-PRO has been retained even though it is no longer required for use with a PC, but for those wanting to connect an iPad or iPhone there is a dip switch under the unit for switching between mono jack and TRRS headset connector. Right Channel Input - The audio jack right channel functions as an input, making it possible to connect two units together with a stereo crossover cable for coincidence counting. Custom made stereo crossover cables available to order. * PC emulator required when used on a Mac. SHV to SHV Cable High quality RG58/U Coaxial cable with braided sleeve, crimp fitted with SHV co..
BNC to SHV Adapter If your detector is fitted with a BNC connector you may need one of the..